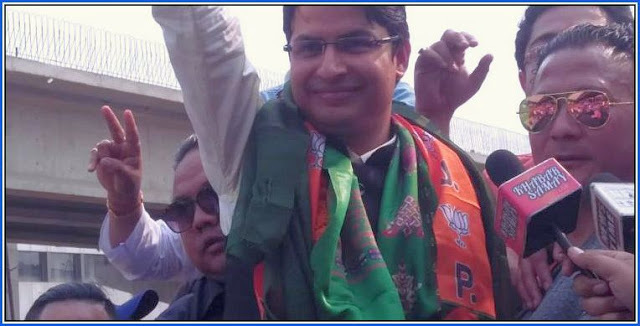 Raju Singh Bista, Bharatiya Janata Party (BJP) candidate from Darjeeling Lok Sabha constituency has landed at Bagdogra Airport today. BJP candidate was backed by Gorkha National Liberation Front (GNLF) and Bimal Gurung faction of Gorkha Janmukti Morcha (GJM). It has been said that Raju Bista’s present address is Khaprail under Matighara police station but his permanent address is in Manipur.